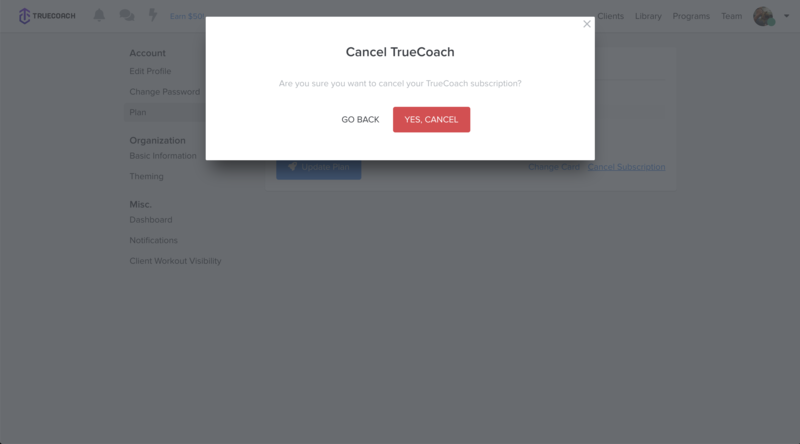 Need to cancel? Here's how. We get it...life happens, things change, maybe TrueCoach isn't what you need right now. The good news is, you can cancel at any time, and your account will remain open until the end of your billing cycle. If you decide to come back, just log back in, choose your plan, and you'll be right back where you left off. We do not delete or remove any data from your account when you cancel. 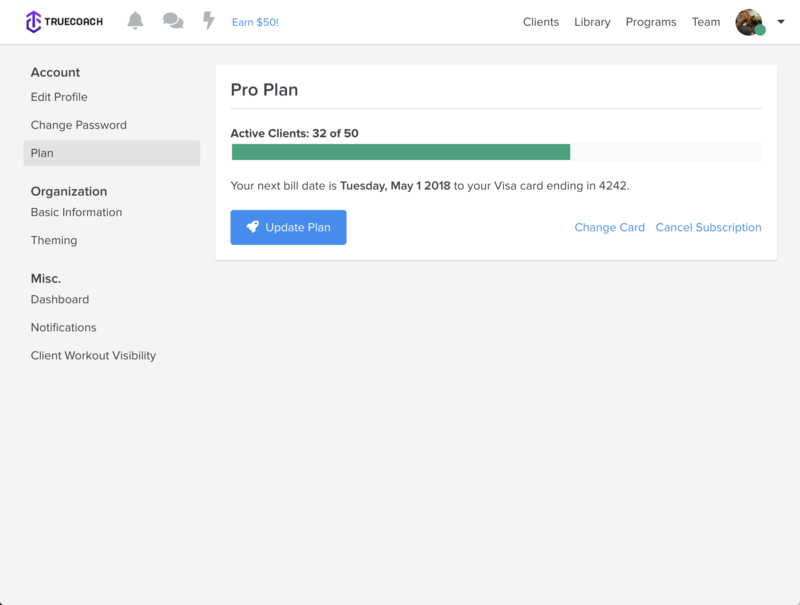 To cancel, head to your account settings, click Plan then Cancel Subscription. Feel free to send any feedback you have to [email protected]. We hope to see you back soon!